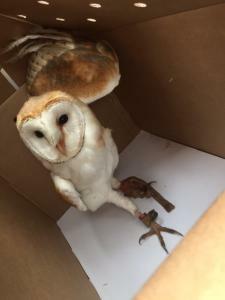 Lost and found barn owl in good health. Closed ring number www.id-rings.eu 10???. Can the breeder or owner come forward with the ring number and A10.